These Trucks were everywhere. It was the harvest season. 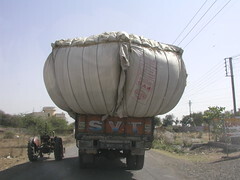 Apparently, load restrictions do not apply in India.